If you are considering getting dental implants you are already on the road to restoring your smile. Since dental implants are surgically placed and inserted into the jawbone, one of the questions our San Francisco patients ask is whether or not they will need a bone graft prior to the procedure. If you live in the 94104 area we encourage you to visit our dental office for an examination and x-rays so that we can answer this question based on your health. You can schedule an appointment by calling(415) 399-0609. In the meantime, here are some answers to frequently asked questions about the bone graft procedure. This is typically due to resorption. Within the first year of tooth loss you can lose up to 25 percent of your bone density in that particular area. It only continues from there. That is because teeth and roots provide stimulation to the jawbone and that stimulation is a signal to the brain that your jaw is serving its primary purpose. When teeth fall out, that stimulation is reduced or eliminated completely. As a result, the body begins to leach calcium from the jaw for use elsewhere. If you know that you are going to lose a tooth visit a San Francisco dentist immediately afterwards, there are certain procedures that can be performed in order to prevent or limit the amount of resorption. If you have lost bone density, your jawbone may no longer be thick enough for an implant. When replacing your teeth with dental implants, a 94104 dentist will be surgically placing a small titanium post under your gums and securing it to your jawbone. As such, your jawbone must be dense enough to support the post. Think of it in the same way as if you were building a piece of furniture. The wood you were using would need to be thick enough for the screw. Otherwise, it would not be able to screw in all the way. A bone grafting procedure can increase the density of your jawbone so that the titanium post is a perfect fit. Most likely you will be put to sleep for this procedure. No matter what, the area will be numbed with anesthesia. This applies to your gums and to any area from which bone is being removed. Next, an incision will be made in your gum tissue and a flap created so that your bone is visible. This allows the surgeon to identify exactly how much bone needs to be placed there. If bone is being taken from somewhere else, an incision will be made so that the bone can be extracted at this time. Grafting material will be placed where the bone once was and that area will be stitched up. Next, the new bone will be anchored to your jawbone using a titanium screw. Other grafting material may be used to surround that new block of bone. Some San Francisco surgeons may also place membrane material around the bone graft. Afterwards, the area will be closed and sutured. 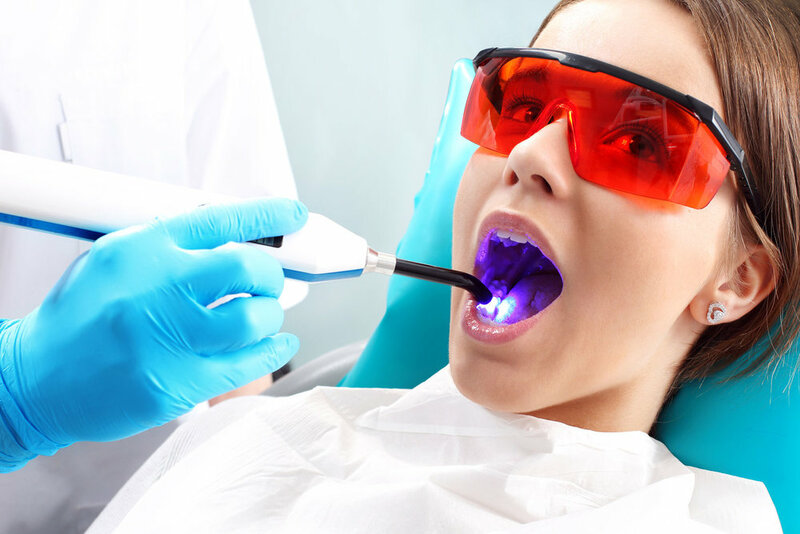 This is a highly specialized procedure that is only performed by certain dentists in San Francisco, CA. This is why you may visit one dentist for a bone grafting procedure and another for dental implants. Yes. Some 94104 dentists offer mini dental implants. These implants are not for everyone, however, they can work well if you have limited density in your jawbone but are not interested in having a bone grafting procedure. These implants are shorter and wider, making them an alternative for those suffering from resorption. The best way to find out if you need a bone grafting procedure is to call(415) 399-0609 and schedule an appointment with our San Francisco dental office. At San Francisco Dental Artistry of San Francisco, we can take x-rays and let you know if your bone is lacking in density. We can then make a recommendation for treatment and let you know whether we are the best provider to do so or if you should see a specialist.